Thornwill is an amazing Hungarian Power Metal band from Budapest. These guys show a great technique and their music would be define as Heavy/Power Metal with a lot of melodic and progressive metal sounds. 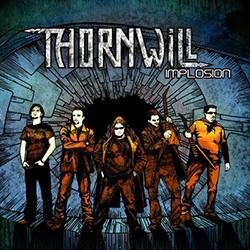 The debut album of Thornwill is entitled Implosion and it was released in 2010. This is an album with very good sound and production and it contains thirteen high quality metal songs. These guys have played at the Hungarian Metalfest in 2010, this was their great presentation of Implosion album to the metal world, after that they won the second prize in competition to play as support band for another know band. Implosion album was a very good impact due to high quality compositions and it contains a very good metal sound. We can find in this album powerful tracks like “Implosion”, “The Prophecy Fulfilled” or “Far Away From Home” with great guitar riffs and solos and melodic songs like “Subconscious Battle” with a great voice and nice acustic guitars. 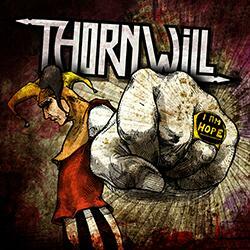 In 2012 Thornwill released a new EP called I am Hope with three powerful songs, after that they released a new album called Requiem for a Fool that you can buy from the Thornwill’s official site. Well metalheads, I think Thornwill is a metal band very highly recommended, it has a great sound and you should not miss out these Hungarian metallers. Implosion album is under Creative Commons license and you can donwload it by clicking the following album art. You can also download I am Hope EP. Enjoy and leave your comments!